As a way to increase our student resources, the CTH team have curated recipes starting from Level 2 all the way to Level 4. Students can now access over 100 recipes from Level 2, 3 and 4 ranging from offal, fish, and vegetarian dishes to name a few. The recipes provide a reference point for students to hone their skills within the comfort of their homes or in the classroom. 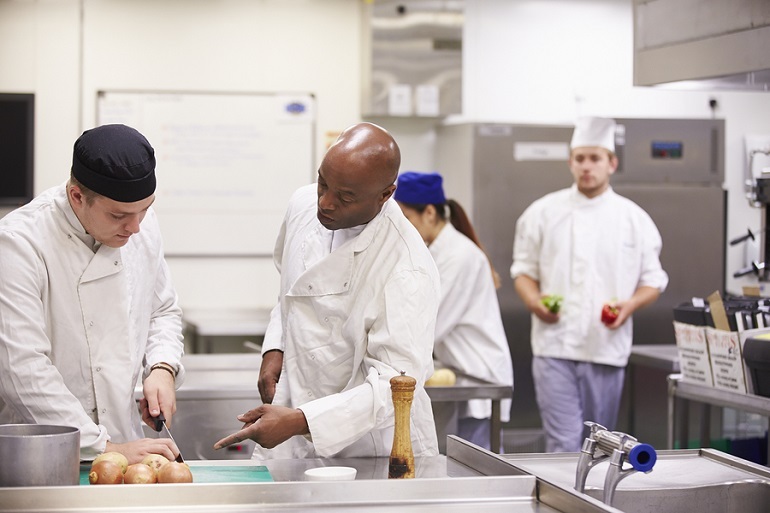 Some of the recipes cover units that are taught in the qualifications and therefore students as well as staff can incorporate the dishes into classes or use them as extra-curricular resources. The new culinary recipes will be made available via the CTH Members website and therefore members will have access to these recipes at no additional fee. The great thing is the recipes are not only restricted to those studying and teaching culinary courses; all members can use them as they wish to try their hand at a little bit of cooking. However, you may want to start at Level 2 for those unfamiliar with the levels; one CTH staff member experienced the difficulty of jumping straight to Level 4 first hand. Find the culinary recipes as well as other culinary materials in the Student Resources tab under Culinary Resources. Share your thoughts on the culinary recipes on social media and for Members click here, login, view the recipes and enjoy.